Interested in working in the Integrative Ecology lab? In the Integrative Ecology Lab at the UT-Chattanooga, we investigate how organisms respond to human-driven environmental change and apply ecological principles to understand implications for human health. We use insects as our model species to explore developmental responses and microbial interactions in a rapidly changing environment. I believe that ecology, and science more broadly, can only be a vehicle for change, creativity and innovation when it reflects the diversity of the society it serves. To that end, my lab welcomes students, teachers and visiting scholars regardless of race, religion, gender identification, sexual orientation, age or disability status. 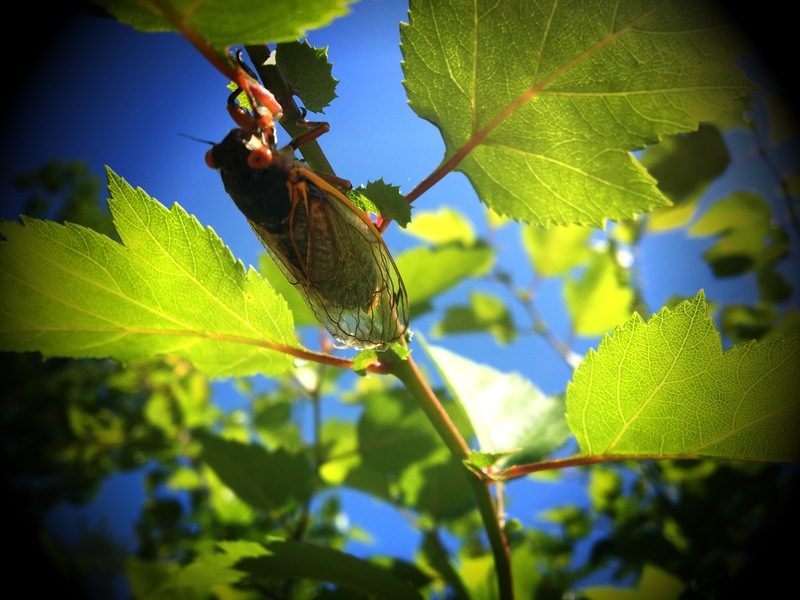 We teamed up with SciStarter to launch a new citizen science initiative to explore the antimicrobial defenses in cicadas! Watch the video here to learn how you can participate! It was a busy and productive year for the Integrative Ecology lab group! Hao Brooks successfully defended his honors thesis, “Changes in ant biodiversity across an urban gradient.” Hannah Hightower won second place in the Research Dialogues undergraduate lightning talk competition. Click here to see her presentation! Itzel Hernandez-Guzman presented her ant diet research and will continue her work in the lab as an honors thesis. Congratulations to all students!! The Ant Ecology group presented their research along with art students at the Apothecary to an amazing turnout of university and community members. To read more about the interdisciplinary experience, click here for the article! Excited to announce an opening for a Master’s student in the Beasley Lab starting Fall 2018! If you’re interested in ants and fungi (or maybe just curious), please apply! Our paper “Urbanization disrupts latitude-size rule in 17-year cicadas” is now available online and open access! Click here to check it out! I’m teaching an undergraduate, research-based course called Ant Ecology for the spring 2018 semester. Students will develop independent research featuring various aspects of ant ecology. This course is part of an exciting collaboration with Astri Snodgrass from the Art department. Science and art students will learn the importance of intentional observation in developing their research. Follow us on Twitter or Instagram to see how we’re doing! Course is supported by a High-Impact Practices Development Grant from the UTC Walker Center for Teaching and Learning. I took part in a fun radio story with the National Science Foundation called the Rules of Life where I discuss my research with ants and fungi. Click here to hear the story! Brood VI periodical cicadas are currently emerging across the Carolinas and parts of Georgia. The Beasley Lab is working with citizen scientists to collect as many individuals as possible to understand how environmental changes are impacting cicada population health. Click here to learn more about how you can participate in the Urban Buzz citizen science project! The Beasley Lab was featured in an interview with WUTC. Click here to hear what we have to say about undergraduate mentoring and ant research at UTC!